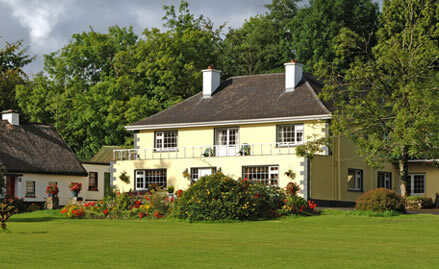 Glenview House is one of Ireland’s premier guesthouses situated on the outskirts of Ballinamore Town, County Leitrim. Glenview House has five well appointed holiday homes all within a quick stroll of the main house, where you can enjoy all of their dining and bar facilities if you wish. In fact they have many regular guests who enjoy the total flexibility of being able to come and go as they wish, eating an sleeping in their own holiday home, yet now and again during their stay will drop in for breakfast or an evening meal and drink. Glenview holiday homes are generally let on a weekly basis (Saturday to Saturday) but a shorter stay is possible subject to availability.